Irving Petlin’s art usually falls somewhere on the spectrum between wildly haunting images of brutal massacres and whimsical pastels. Petlin was born on December 17, 1934 in Chicago, Illinois. His father, Samuel, was a cantor who also worked in a cleaning plant, and his mother, Rose, was a homemaker. The two of them emigrated from Poland, as they were Jewish. In Poland, 49 members of Petlin’s family were killed in the concentration camp Treblinka. Petlin was a child of war and as such was hyper-aware of the goings-on in Poland during World War II. Instead of Dr. Seuss or Dr. Doolittle, Petlin got The New York Times, the Washington Post, or whatever paper his father brought home from work. This paired with the fact that he showed incredible promise as a artist from a very young age set the trajectory of Petlin’s life. He started taking classes at the School of the Art Institute of Chicago. He excelled and earned a scholarship to the Art Institute, where he received his BFA. Following this, Petlin went to Yale for his MFA, studying under Josef Albers. Early on, Petlin decided that his art was going to be dedicated to the witnessing of history, but not in a sensationalist, exploitive kind of way. He was going to show things exactly the way they were. He made art around the Holocaust, the Watts riots, the Vietnam War, and other tragedies around the world. His art blended into activism and at one point he tried to get a petition signed to remove Picasso’s Guernica from the walls of the Museum of Modern Art. He did all this without making a single phone call, because as such an influential activist, he was definitely bugged. The idea was that what the United States was doing in Vietnam was basically the same as what the Germans did in Guernica, and while the painting was in a foreign land, it wasn’t making the full impact that it had the potential to because it was so removed from the original context of the work. This was just one of his many projects dedicated to activism. All in all, Petlin was the defender of the oppressed and the voice of the silenced. He died in September 2018 of liver cancer, just when the world was beginning to need him most. 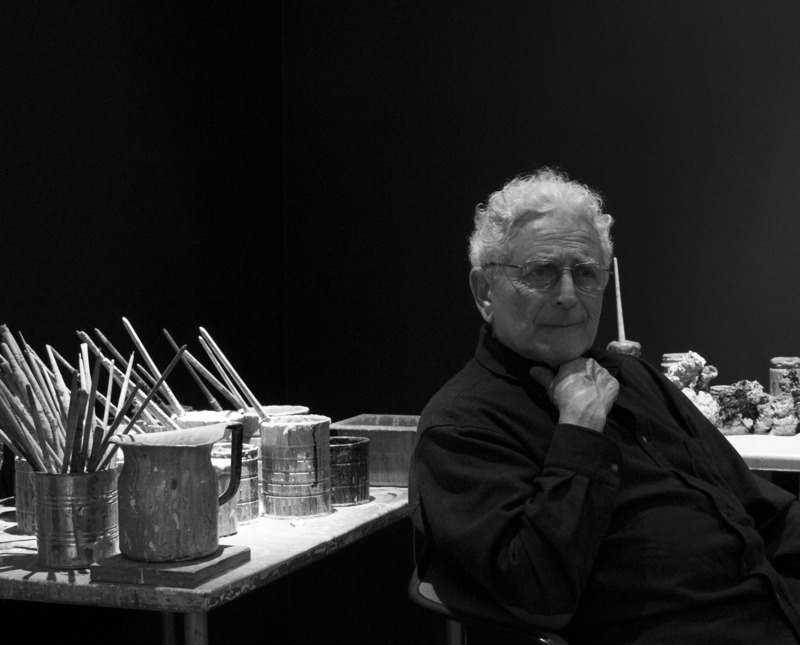 Irving Petlin (December 17, 1934 – September 1, 2018) was an American artist and painter renowned for his mastery of the pastel medium and collaborations with other artists (including Mark di Suvero and Leon Golub) and for his work in the "series form" in which he employed the raw materials of pastel, oil paint and unprimed linen, and found inspiration in the work of writers and poets including Primo Levi, Bruno Schulz, Paul Celan, Michael Palmer and Edmond Jabès. Petlin attended the Art Institute of Chicago from 1953-1956 where he received his BFA during the height of the Chicago Imagist movement. At a critical juncture Petlin attended Yale to study under Josef Albers, subsequently earning his MFA in 1960. In 1964, his work was shown at the Hanover Gallery in London and Galerie du Dragon in Paris, where he influenced the Nouvelle figuration movement. That same year, Petlin was invited to teach at UCLA as a visiting artist, along with artists Richard Diebenkorn and Llyn Foulkes. While in California, he was a principal organizer of the "Artist’s Protest movement against the war in Vietnam." In open meetings held at the Dwan Gallery, of which John Weber was the director, he founded the Artists’ Protest Committee. In 1966, Petlin planned the Peace Tower with help of Mark di Suvero, as well as Philip Lieder, Craig Kauffman, Larry Bell, Walter Hopps, Rolf Nelson, Judy Chicago, Lloyd Hamrol, Hardy Hanson, Eric Orr, Tanya Nuefeld, and others. "The Artists’ Call" for the tower is published in four languages, and works arrive from all over the world to be attached to it. The finished tower, was dedicated by Susan Sontag and ultimately attacked overnight. The following year, in 1965, Petlin had his first major one-man exhibition held at the Palais des Beaux Arts in Brussels. Shortly thereafter, he returned to New York City with his family and moved into an apartment on West 11th Street. At this time, his growing commitment to the American milieu resulted in the completion of the painting The Burning of Los Angeles. During this period, Petlin Was a founder and a participant in Artists and Writers Against the War in Vietnam. He also toom part in the Art Workers Coalition, the Art Strike, the Moratorium and the Venice Biennale. From the 1960s, when he became one of the founding members of "Artists and Writers Against the War in Vietnam," Petlin was a leader in political activism by visual artists. He created the iconic anti-Vietnam War poster And babies in 1969. Petlin continued his militant interventions after the 1960s through such activities as his participation in the "Artists' Call Against the U.S. Intervention in Central America". Petlin taught at the University of California, Los Angeles, the Cooper Union in New York, as well as the Pennsylvania Academy of the Fine Arts in Philadelphia. He lived in Paris, New York and Martha's Vineyard, Massachusetts. Petlin died of liver cancer in Martha's Vineyard, Massachusetts on September 1, 2018 at the age of 83. Check out the full Wikipedia article about Irving Petlin.